Archives for April 2017 | Khelmart.org | It's all about Sports. YONEX Voltric series of rackets is dedicated to those players who want, attacking game style on 3rd line while on other hand, fast and speedy racket handling at net area. Yonex used state of the art racket material and cutting edge science to develop the rackets so that players get best in class racket performance. 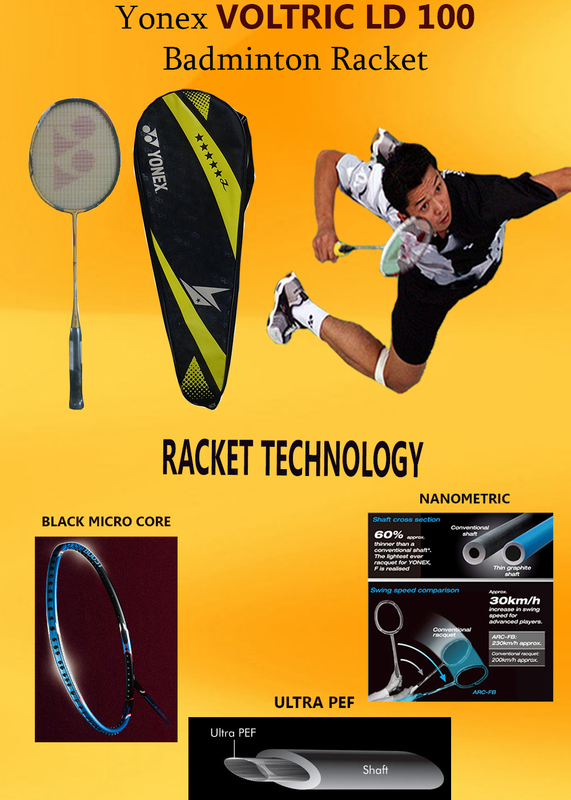 In Yonex Voltric series, new approach is used in which New and innovative racket frame design is used. 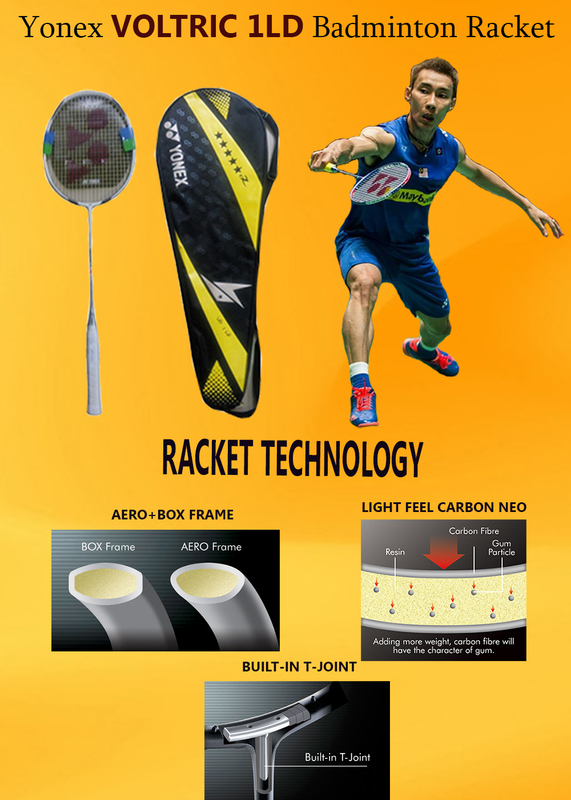 Yonex Worked on Two area of Racket frame to improve the performance. 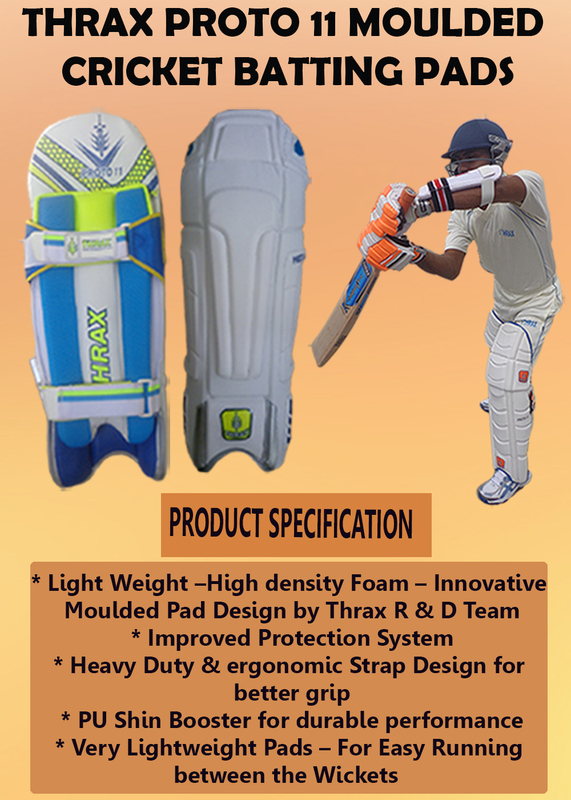 Traditionally, to make racket head heavy, manufacturing companies used extra material at head area so that more racket swing can be generate to get maximum power. But to make racket head heavy, players need to compromise on racket swing as head heavy racket tends to give off balance. Yonex used, stiff racket geometry at racket top which gives racket bending action in a controlled manner. Further, to improve the flexibility, Yonex used flexible sides so that shuttle gets maximum energy transferred from string bed. By combining both the technologies together (Stiff racket top and Flexible racket side) , Yonex Voltric series racket delivered incredible power and quick racket repulsion. Further, Yonex re design the frame in which racket weight is redistributed at top and Bottom part. By doing so, players get maximum benefits of head heavy racket balance point. Thin cross section at side, gives less air resistance thus player will get better and improved racket swing speed. Yonex Voltric Series is a head heavy series which gives powerful smashes and hard hitting to attacking for attacking game style. Due to its aerodynamic frame shape, its offer best in class racket swing speed, which helps in providing edge on fast drive shots and quick return shots. 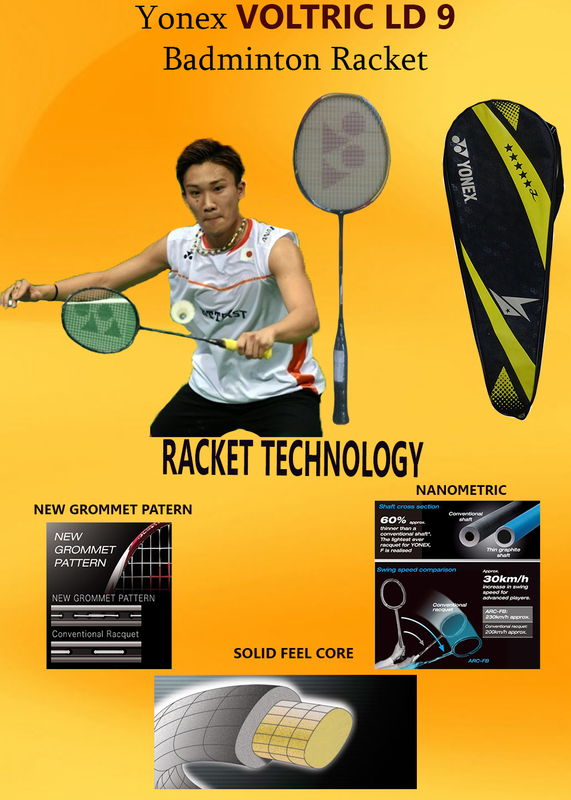 Yonex Voltric series offer versatile playing style which suits the style of all-round type of players. Voltric series gives combination of power and control which helps player to dominate in the game. Yonex developed different configurations in Voltric series so that player with different playing style can get best racket as per playing need. 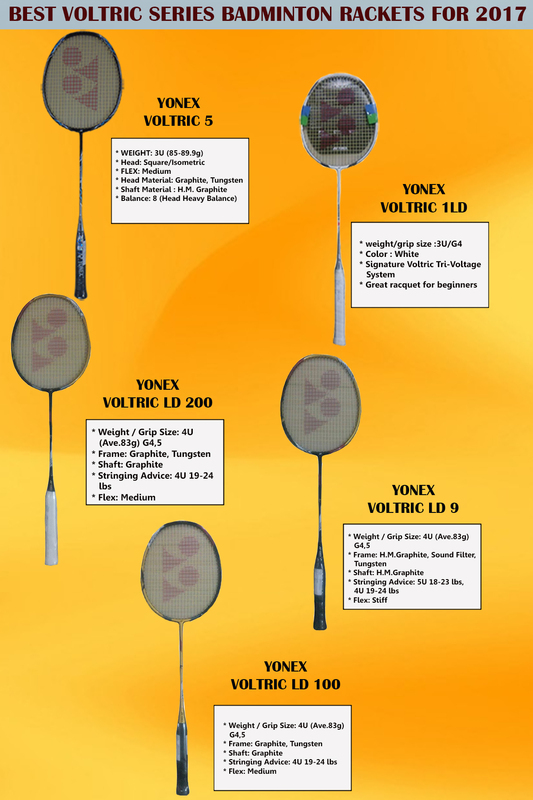 Yonex Voltric 5 is best selling racket in Complete Voltric Series of Rackets. 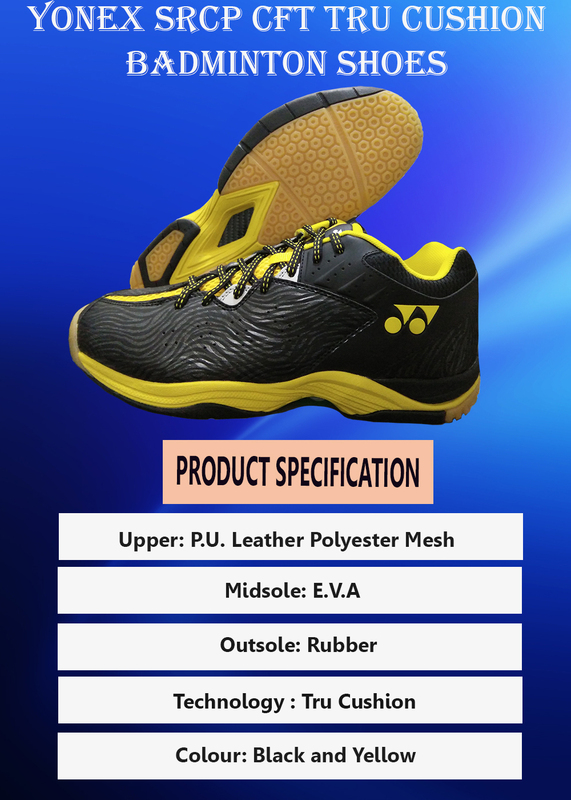 With Its innovative racket design and overall look, Vol 5 is the first choice of intermediate badminton players. Its weight is around 85 gms while its available in G4 Grip Sizes. This racket is suitable for those players who wants attacking game style while at the same time don’t want to compromise in defense skills at net area. Thanks to tri Voltage System. With Isometric shape and tri voltage system, player will get fast racket repulsion and powerful smash power from frame. 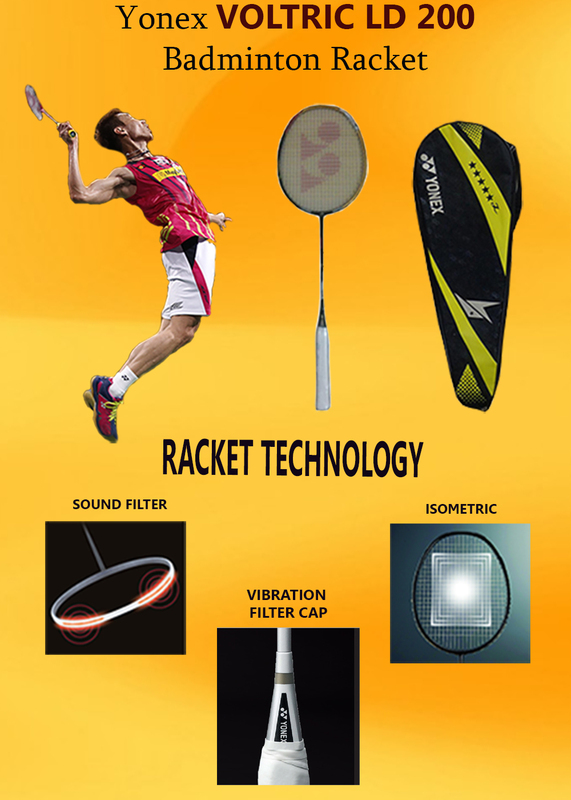 Racket is equipped with Tri Voltage System which gives better attacking game and fast swing. Isometric shape offer enlarged sweet spot area. Head heavy racket which is designed to deliver best racket shots. It is a latest LIN DAN series racket which is launched by YONEX for intermediate badminton players. This racket is developed on signature style of Lin Dan and gives best racket experience in economical price range. 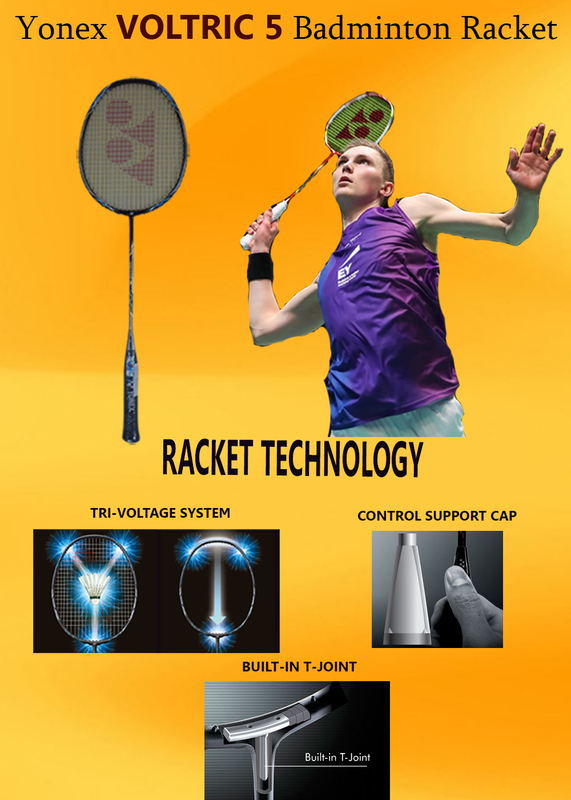 With Tri VOltage system, this racket will help player to enhance the badminton attacking and defensive style. In India, it is available in 3U weight and G4 Grip Size. This racket is very popular in Intermediate badminton players. Racket shaft and Frame is made of graphite. LD 200 is again a latest launched by YONEX in 2017 and already it is very popular racket in badminton player who already tried Muscle Power or carbonex series. Players who want to upgrade racket, can check LD 200. It’s improved and upgraded Tri-Voltage System helps in attacking game while aerodynamic frame design helps in fast drive shots. Overall, LD 200 is very nice racket for Intermediate Badminton players. Its shaft and frame is made of Full Carbon and Graphite material. Weight of the racket is around 83 gms. Tri-Voltage system is Yonex trademark technology for Voltric series which is designed to deliver power in smashes while at the same time player will get fast racket handling as well. Player can put 19 to 24 lbs string tension (recommended string: Yonex NBG 99). Built in T Joint technology gives stable T Joint section which helps in joint stability and result into accurate shuttle placement. Racket flex is medium which gives good repulsion for fast returns. Voltric LD200 is developed with isometric frame shape. This type of shape gives enlarges sweet spot. We all know that with enlarged sweet spot player can hit off center shots with more power. To improve the Hold, impact and repulsion (Three most important characteristics of racket), Yonex used Nanometer Dr which is high strength carbon material (Nanometer Dr normally used in Aviation industry). With the help of this material, badminton player gets better hold, fast repulsion and high impact strength. Racket flex is stiff which gives good repulsion for fast returns. Voltric LD9 is developed with isometric frame shape. This type of shape gives enlarges sweet spot. We all know that with enlarged sweet spot player can hit off center shots with more power. Cross section of frame is designed with Aero-Box frame. Cross section with Aero-Box type shape gives better aerodynamics which results into better swing speed. This racket is equipped with upgraded Tri Voltage System and isometric frame. With Tri Voltage System, player gets power of head heavy racket feel (With head heavy frame, more force can be applied on shots).Head heavy frame is suitable for those player who wants more power on shots (with more power, player can easily clear the 3rd line shots and hit the destructive smashes).Further, to improve the racket overall aerodynamic, latest cross section is used at lower part of frame. This new edition to racket frame helps in better racket swing speed. (So player can get the benefits of powerful smashes and fast racket handling) Yonex Voltric LD100 is medium flex racket designed to give you offensive repulsion. Its frame is made of Graphite and tungsten. Its shaft is made from graphite material. Its color is premium gold. Voltric LD100 is developed with isometric frame shape. This type of shape gives enlarges sweet spot. We all know that with enlarged sweet spot player can hit off center shots with more power. 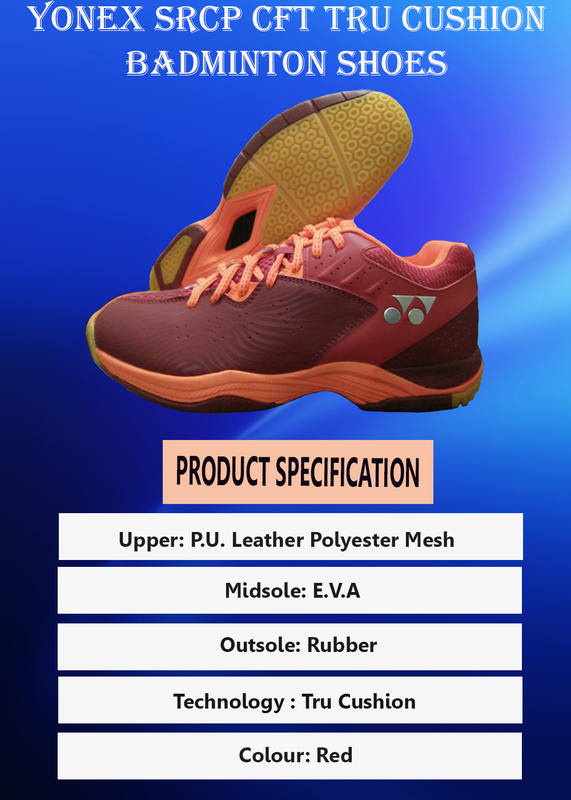 SRCP CFT Tru Cushion is the latest badminton footwear launched by Yonex in 2017 for advance badminton players. This shoe is a latest design shoe with new technologies and improved material. Yonex used new PU material with ocean inspired grains on outer surface. Ocean inspired grains structure gives grains like ocean waves. 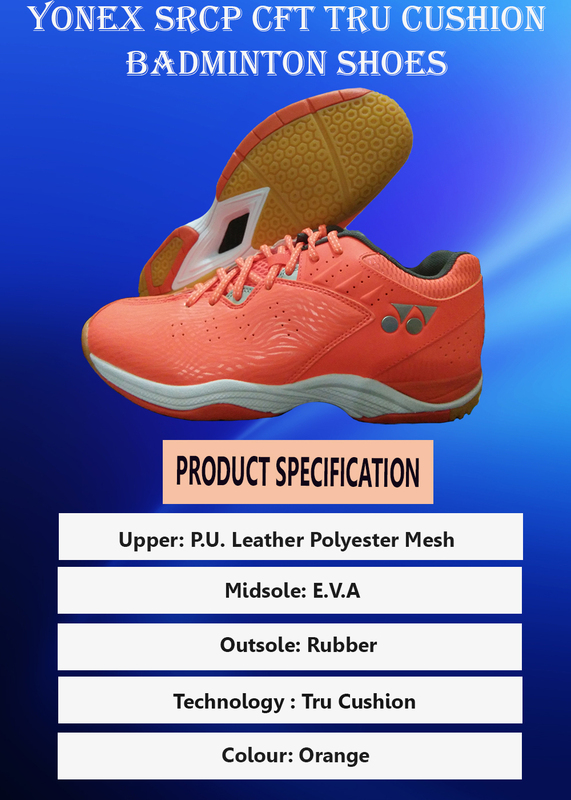 This shoe comes in 4 colors variant, all colors will suit the player individual playing style. In this variant ocean inspired PU graphics are provided on black color while Yonex used yellow color in Midsole (Pylon). Its base color looks as Black while yellow midsole gives as Black yellow color combinations. Shape of shoe is also changed as compared to other Yonex models. It’s not a full low cut mode as other Yonex models looks like. 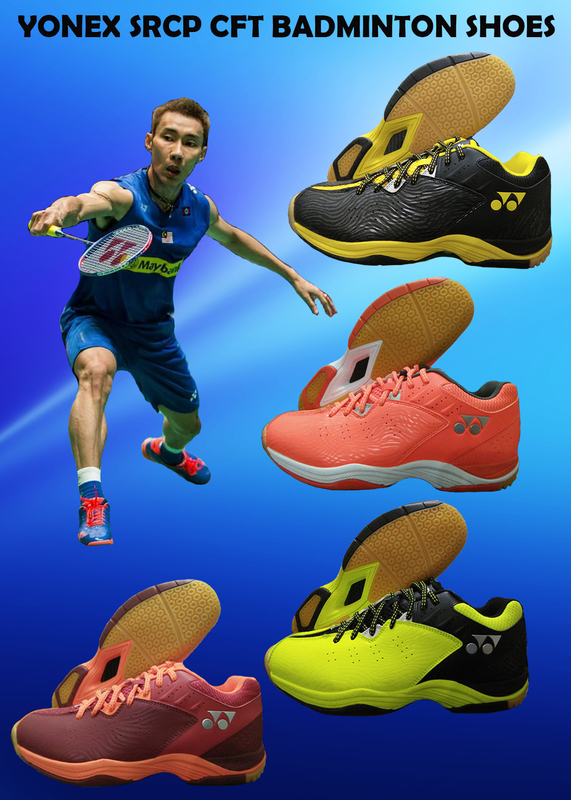 However it’s more comfortable and free shape which will be liked by professional badminton players. In second variant, Base color is green lime color. And ocean lime graphics are giving very attractive look to this shoe. Yonex used lower sole part (Side part) as black color. Further side and back area is also kept as black color. Overall this color combination will suit to those players who want new color and attractive combination in footwear’s. In 3rd variant, base color is orange. Yonex used orange color (Without ocean like graphics) in back and side of the shoe. 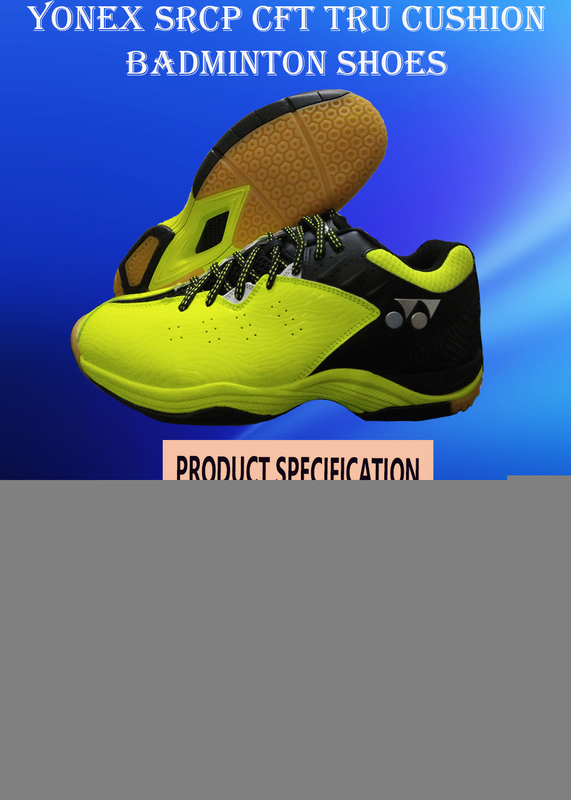 Overall this Yonex badminton footwear will be liked by those who need very bright color combinations. This shoe looks very bright in nature and shoe overall look is very attractive. In 4th Variant, Shoe base color is red. Shoe back side and side are kept as dark red but Without ocean like graphics. Shoe color combination (Red and Orange). It’s a technology which is developed to improve the cushioning of shoe. Yonex used very soft material at mid sole which give with soft feel during impact while outer rubber sole give easy feel during hard impact. Overall , combination of Hard and soft sole gives perfect blend of tru cushion in shoe. Improved ergoshape at forefoot is design to give perfect shoe fitting. Ergoshape is a concept which is developed with YOnex to improve the overall feel of badminton player. Player with different foot shape with feel the same fitting shoe with ergoshape concept. 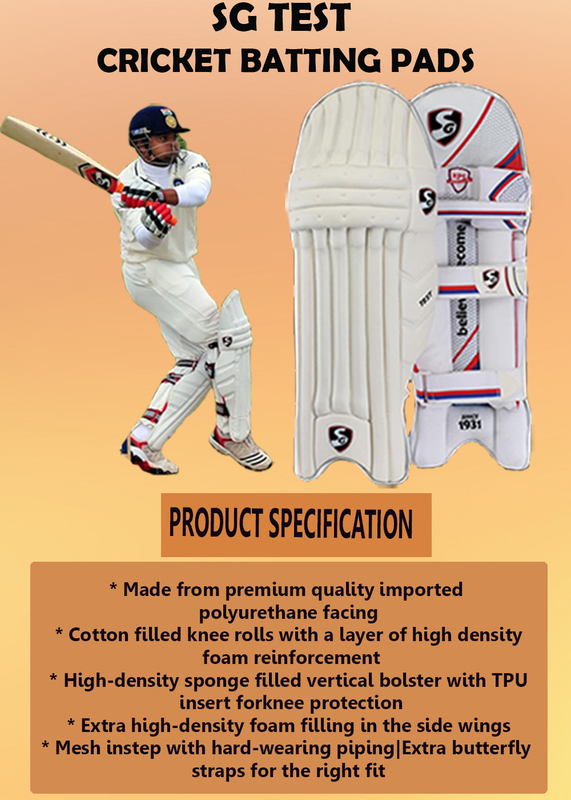 SS and Kookaburra are the two top most cricket manufacturing brands producing the class cricketing equipments for pro players. 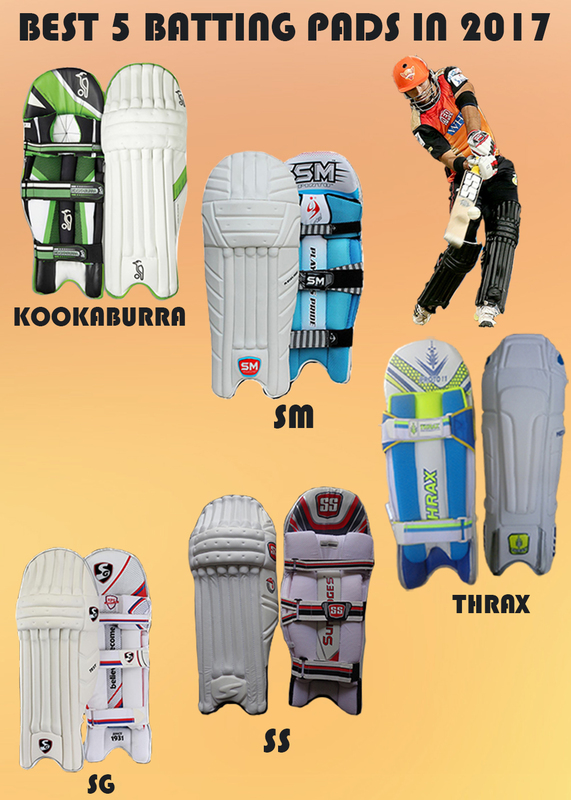 Most of the Indian cricket players are using the SS cricket equipment while , Kookaburra is the first choice of Australian Cricket Team. 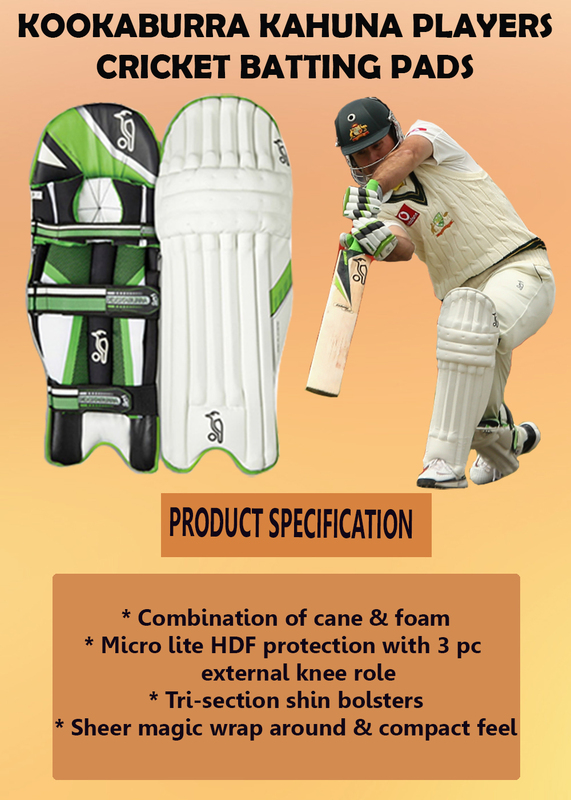 Kookaburra Cricket bats are manufacturing in India by SG under the license by Kookaburra. Kookaburra gives unique cricket bat profile to bats which is totally different from SS Cricket. Player with different playing style are always looking for perfect spine shape, and back profile. 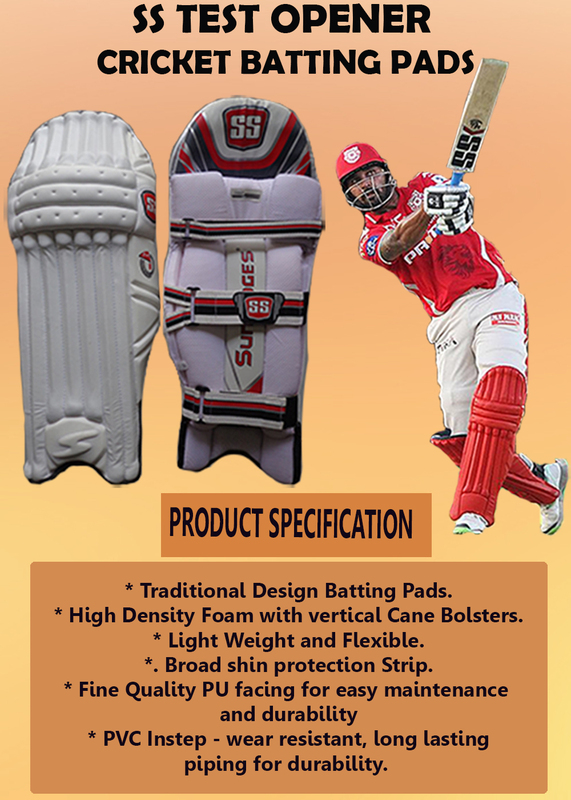 Before taking any decision, player need to carefully check the parameters of Bat and then accordingly select the bats. In this blog we shall explain the comparison between two bats. 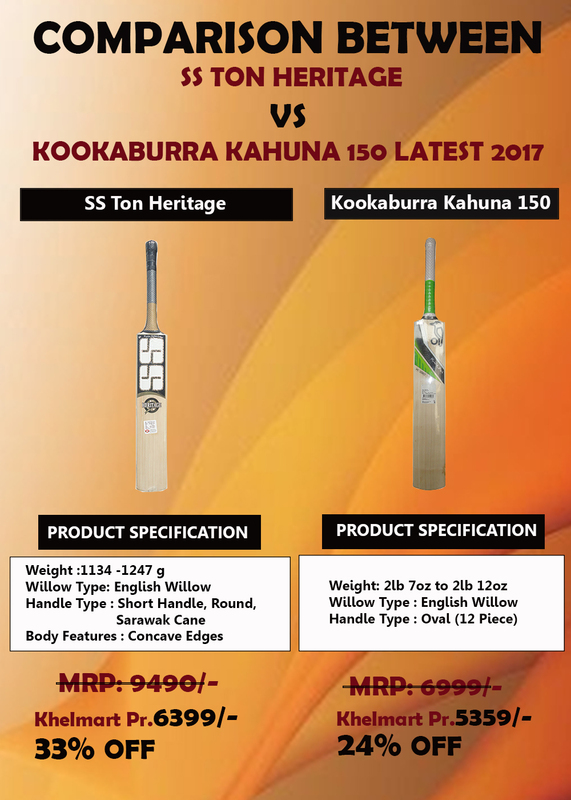 What are the basic difference in SS and Kookaburra Bats? 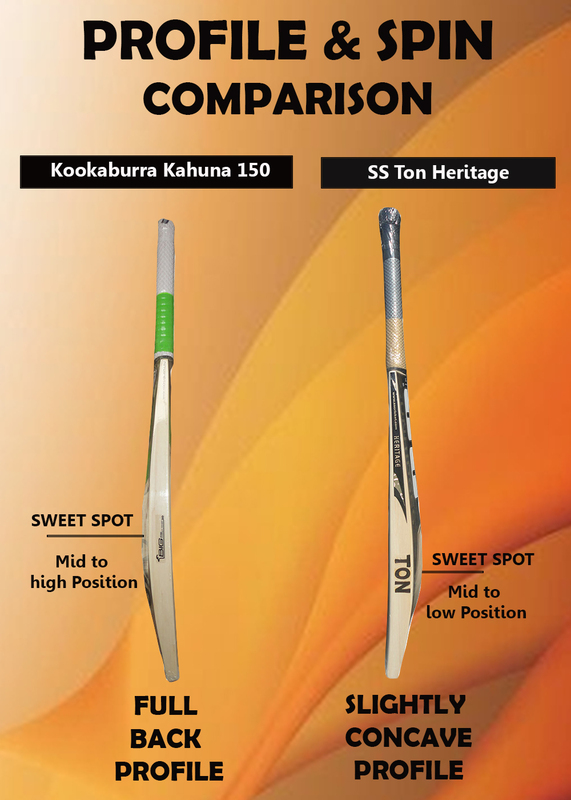 Most of the kookaburra Bat is manufactured with mid to high sweet spot with full back profile. Bat with Mid to sweet spot position gives better balance and high pickup balance point which helps in placing good pull, drive and hock shots. While on Other hand, Most of SS Cricket bats are developed with mid to low sweet spot with slightly concave on back side. So based on players individual playing style , player can select the bat as per need. 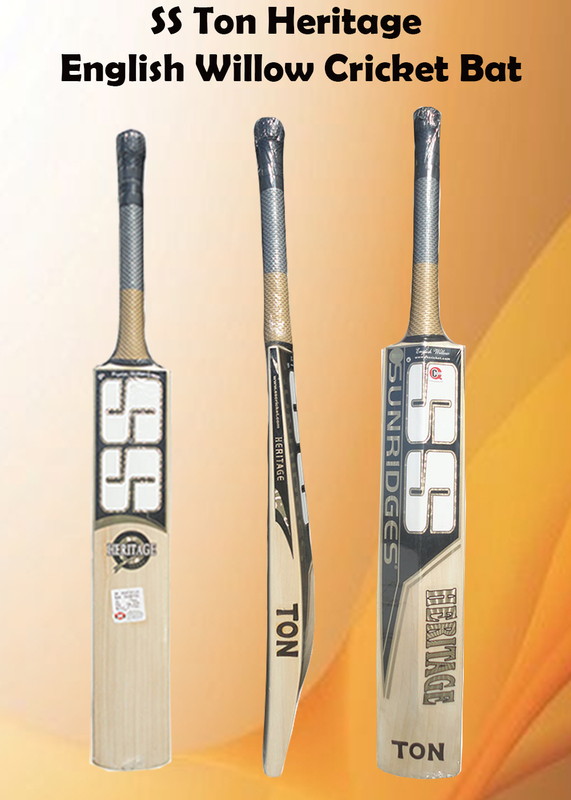 Heritage is a top selling model in complete SS Range. Heritage is developed with Grade 2 English Willow with straight grains profile. Player will get around 6 to 8 grains in the bat. Bat is equipped with tradition profile with mid to Low sweet spot positions. 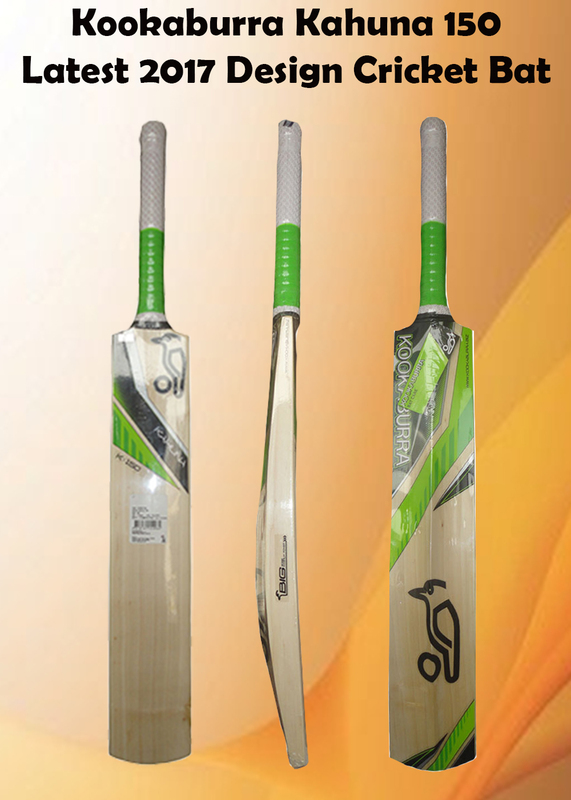 Bat is suitable for attacking players who wants to dominate in the game with massive sweet spot and bat profile. Made from Grade 2 English Willow cleft, Kahuna 150 is suitable for player who already tired full back profile bat and now wants to tried some new options to improve the performance. It is full back profile bat with mid sweet spot position. Willow is processes with naturally air dried technique with gives superfine grains and willow profile.